The wrapper shade is Colorado and surprisingly light for a Reserva cigar where all leaves have undergone an extra ageing of three years. When smelling the outer leaf it offers an aromatic bouquet of chocolate, roasted hazelnut and frangipane. When holding the cigar, the texture is very smooth, almost lacquered. And when pressing the stick between the fingers, it feels firm and well packed in tobacco leaves. There is a slight and pleasant resistance in the draw which provides a thin yet delicate smoke. The mouth feeling is very buttery and savoury. It drops lots of sweetness onto the lips, witness of the ageing process that really improve the wrapper characteristics. It mainly develops sweets and gourmets flavours with hints of caramel and coffee beans. There is an absolute absence of bitterness as if the blend already reach a partial harmony, not long after being rolled. The burn is regular and the ash consistent over the 1st third. While going through the second part of the module, the draw is getting really loose and the smoke’s density increases considerably. 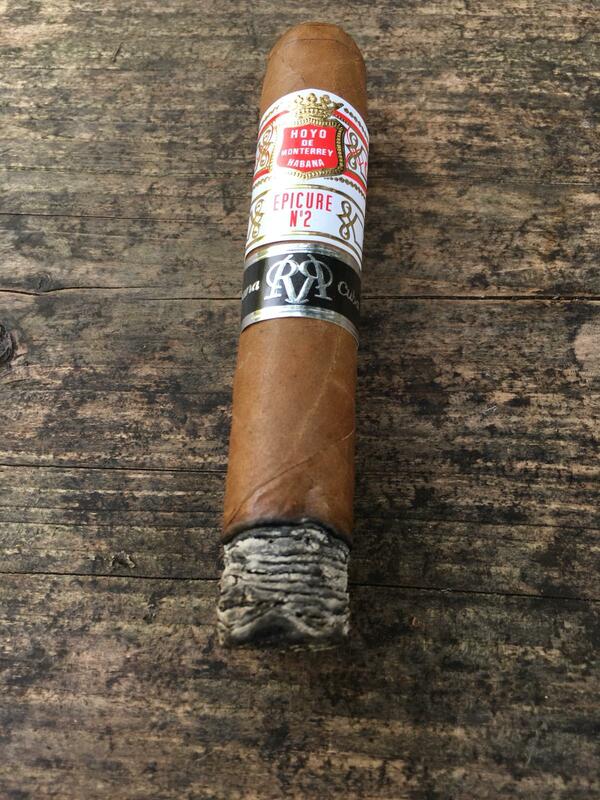 In the same time the herbaceous panel of flavour proper to Hoyo starts revealing itself and hit the top of the palate. A very nuanced saltiness appears as an aftertaste. The finish provides an explosion of all the flavours previously felt in each and every single puff. It blends the sweet side with the vegetal one, bringing balance and complexity. It is always a great surprise when witnessing such development and evolution from the foot toward the head of a cigar. The aftertaste last quite long and remains smooth,without the usual dryness you’d find in some other modules. The richness and lightness of the tobacco allows you to smoke this vitola at anytime of the day. Finally a Reserva edition that doesn’t disappoint and worth to be smoked soon after being released. Time will tell if the ageing benefits the blend, but it seems to evolve toward the right direction.